"Riverdale" returns for its third season at 8 p.m. on Wednesday, Oct. 10 on The CW. "Riverdale" Season 3 is almost here to grace our screens with more dark and action-packed storylines. Quite a lot happened last season compared to the first season. If you haven't been watching, you might want to resist reading further, get binging and come back when you're caught up. But it you're ready for the premier of the third season – 8 p.m. tonight (Wednesday) on The CW – the following will serve as a refresher for what's taken place so far. Season 1 of "Riverdale" focused on trying to find Jason Blossom’s killer, and after we discovered Jason's killer was his father, the town seemingly went back to normal. But you see, in the world of "Riverdale," we can’t have nice things. The Season 1 finale ended with a black-hooded man entering Pop’s Chock’Lit Shoppe and shooting Fred Andrews with Archie by his side. Traumatized from his father’s near-death experience, we see a guarded Archie in Season 2, ultimately trying to protect his father. The killings continue and include Archie’s music teacher and love interest from Season 1, Miss Grundy. Archie goes through a lot in Season 2 from helping Jughead deliver drugs to becoming a trusted member of Hiram Lodge’s inner circle. He finds out later Veronica's father was manipulating him. Once this comes to light, Archie confronts and threatens Hiram. But as you can imagine, it didn’t end well. This past season became a battle between the Southside Serpents and the Ghoulies. Jughead officially joins the Serpents and becomes an integral member in their group. He gets help from Penny Peabody who traps Judghead into a drug-dealing scheme. Once he tries to banish Penny Peabody with the help of his fellow Serpents, she comes back later in the season with the Ghoulies. Jughead soon figures out the teaming up was orchestrated by Hiram Lodge to get rid of the Serpents entirely. "Bughead" experiences two break ups in Season 2 of "Riverdale", but the two come back together stronger than ever later in the season. Though, with the Black Hood following Betty and coercing her to drop her friends, it's easy to see why the couple had so many issues this past season. In order to help her mom, she also attempts to find her long-lost brother, supposedly finds him, and even invites him to stay with her family. Later in the season though she figures out that he's not her real brother and that her real brother is dead. Veronica plays along with Lodge Industries and her family’s wishes for most of the second season, but it eventually backfires when she finds out what her father has been planning this whole time – he wants to buyout the Southside to build a prison. In order to stop him, she buys the local Serpent bar, White Wyrm, only to manipulate her father into giving her Pop’s Diner. He agrees but only if she’s okay with being financially cut off. She agrees and ends the season at odds with her family. But the biggest revelation of the show is the slow reveal that Betty's father is the Black Hood. Following his arrest, Archie, Veronica, Betty and Jughead all seem to be working together after a tumultuous season for their friendships. The second season finale ends with Archie winning class president. While giving his speech he's arrested for murder as Hiram Lodge stands in the back with no remorse. 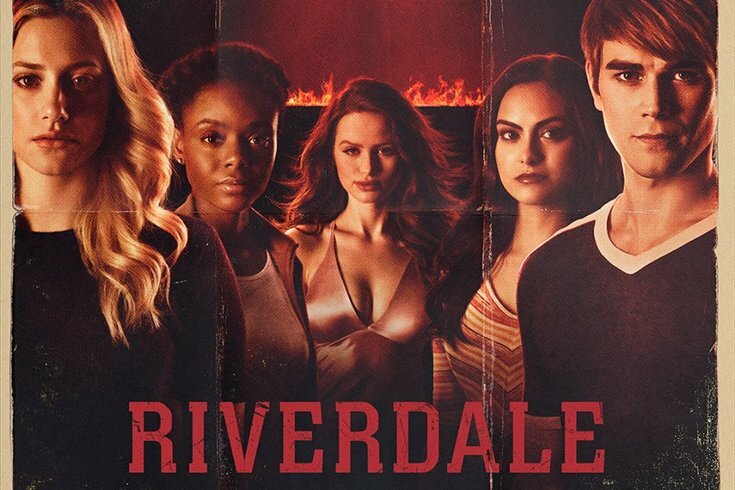 Check out the Season 3 trailer of "Riverdale" below.